Once you've seen Highly Suspect's earlier cinematic videos: Bath Salts, and the stunning Lydia, and listened to the words of Mom, then it will come as no surprise that the latest video release, for the single Serotonia, is dark, challenging, intriguing and hypnotic in a different way. With Lydia, we collectively tried to hold our breath. Serotonia? Try not blinking for that long without your contacts drying to your pupils. Just try. I bet you can't resist trying. Provocative, of course: moments of seventies' west-coast mixed in with gritty Brooklyn. Really glad we saw these guys at Aftershock last year. If you haven't listened to them yet, their debut album, Mister Asylum, is out now. Check out Serotonia: to be watched all the way through. 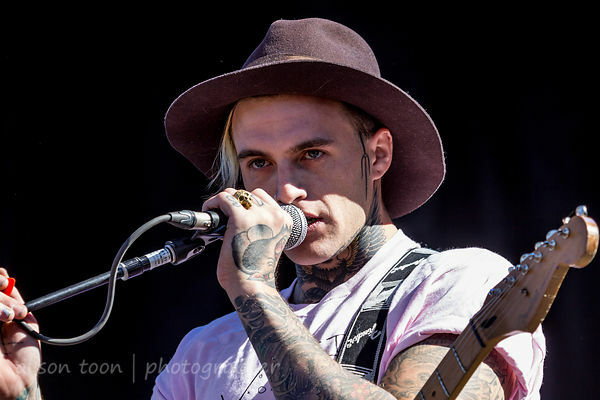 Highly Suspect are on tour now throughout the USA, including dates in Los Angeles and San Francisco, the first week of April. They are also scheduled to play Reading and Leeds festivals in the UK in August: friends across the ponds, don't miss!